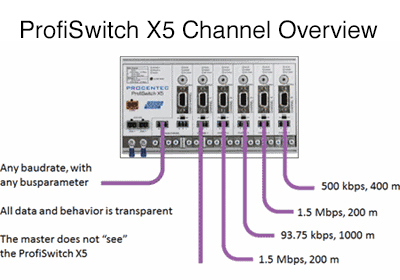 The ProfiSwitch X5 is a multiple baud rate, multi-channel PROFIBUS Repeater with 5 channels. 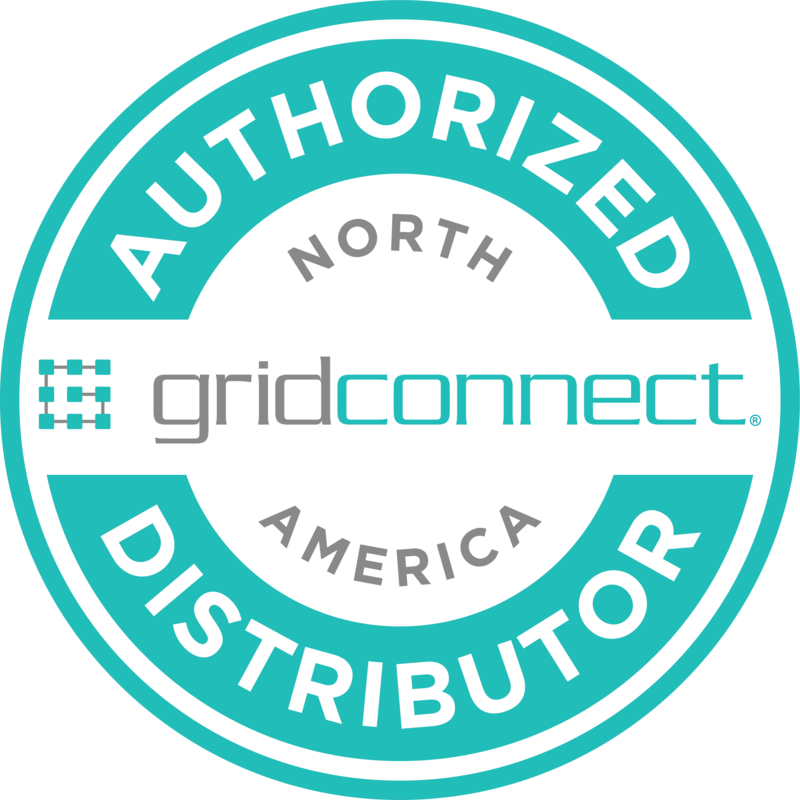 This device is a powerful package that ensures reduced installation complexity, increased time utilization, and better deployment of project resources. Having 5 channels of communication on 1 unit requires less repeaters and connectors to purchase. Quick connection of channels, auto baud rate detection, and unit termination reduces installation time and costs. Better maintenance control is obtained by spur line isolation, DB9 and pin connectors for operational troubleshooting and maintenance measurements, and notification capabilities of failure. 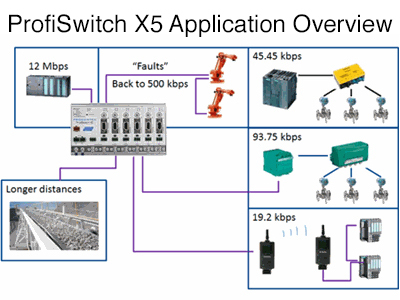 When network designs require optimal speeds, the X5 ProfiSwitch will operate with multiple baud rates on 1 PLC without any special programming. This capability solves some legacy system issues which occur from numerous project upgrades. Wireless systems can also be connected without sacrificing speed of the communication on the rest of the network. Adding to legacy systems no longer require creating a separate network. Just install the ProfiSwitch X5 as a spur line extender. Monitoring is done with the utilization of a ProfiTrace PROFIBUS testing unit on a DB9 connector located on the X5.